By Brian Voo in Gadgets. Updated on November 26, 2018 . We’re already at an age where we can monitor our health, our fuel consumption and our children’s whereabouts all with a smartphone. 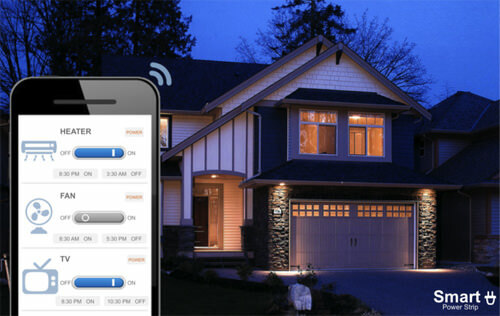 Today we are going to feature a gadget that can help you monitor your home electronics and appliances. Smart Power Strip is a device that allows you to switch any of your plugged electrical appliances on and off anytime, anywhere using your smartphone. It also monitors electricity consumpton to let you know which of your appliances are draining energy faster than the rest, and perhaps give you reason to find a more eco-friendly alternative. 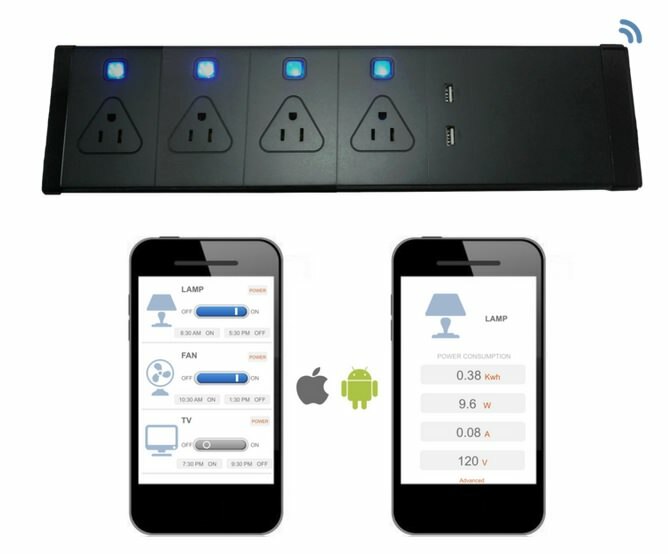 Smart Power Strip is essentially a power strip that can be controlled with your iOS or Android smartphone. Just plug in your devices into the Smart Power Strip and you can then remotely turn your devices, appliances or electronics on or off even when you are not home. Apart from letting you turn off devices from the comfort of your sofa or bed, it is also a handy setup that can help you switch off your devices from work. All it takes is an Internet connection and just a tap on the virtual switch on your phone. You will also be notified when an appliance is turn on or off. With Smart Power Strip, you can even set a timer for when an appliance is to be switched off. This will be handy for when you want the heater to be on before you get home from work, or if you are going away on holiday or business for the while, and want to leave an impression that someone is home (and it is also a great ultimatum to those "I want to watch TV, dad" debates). Smart Power Strip also gives you clear information on the electricity consumption of all your electrical appliances, so you will know when it is time to replace a faulty or energy-draining appliance. 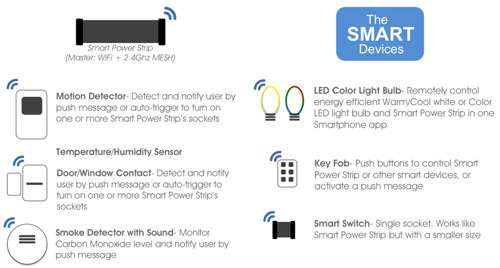 The team behind Smart Power Strip is also hoping to develop Smart Devices, which come in the form of motion detectors and temperature, door and smoke sensors that, when triggered, will send notifications to your smartphone or trigger a smart socket (turn something on or off). Smart Power Strip is still available at an early bird price of $99 on Kickstarter with free shipping within the US, and a $30 fee to ship outside the US. Delivery is estimated to be at April 2014. The device will retail at $199. As a reminder, do try to ensure that the plug works with your appliances in your country before ordering one. The team also produces Smart Power Strips for use in the UK, EU, and AU and will probably replenish their already depleted stock if there is demand.